So runs the advert when it was sold in 1845 but by 1902 it had gone, buried under the prestigious Peterborough Estate with its ‘Lion’ houses. 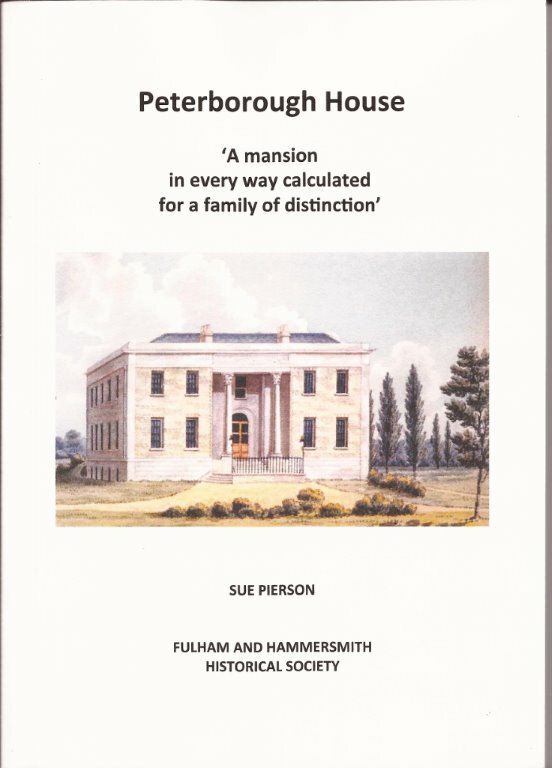 Sue Pierson has charted its history from medieval times discovering its owners and tenants some of whom were not entirely respectable! Several were buried or have memorials in All Saints’ church, in particular, John, first Viscount Mordaunt, whose larger than life statue looks down on us today. He was the father of Charles, third Earl of Peterborough, who was probably the first Lord to marry a showgirl. The house was in its heyday when he lived there but later residents included John Meyrick who founded the Fulham Volunteers and William Beckford, novelist and builder of very tall towers. The book is guaranteed to keep you reading to the end and you will learn a lot about Fulham. A must have for those who live on the Peterborough Estate. It costs £6 from Sue who is happy to deliver locally. Contact her on 020 7731 6544 or email: sue@lancepierson.org for full details. Alternatively £7.50 including postage see Publications Page. This entry was posted on Saturday, November 23rd, 2013 at 6:53 pm and is filed under Buildings. You can follow any responses to this entry through the RSS 2.0 feed. You can leave a response, or trackback from your own site.